Halloween is my favorite holiday. I mean, forget opening Christmas presents or hunting Easter eggs. I am all about darting through dimly lit streets, creating a legendary sugar high, and playing the occasional good-natured prank. The other thing I love about Halloween? 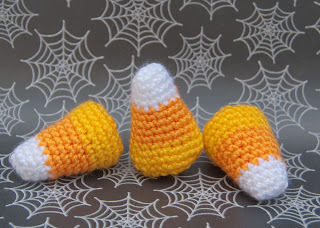 Candy corns! Well, that is until I get my hands on the little nuggets o' sugary goodness! You see, inevitably, each year just before Halloween time, I find myself buying several bags of the suckers to satisfy my annual craving. And each year, I consume nearly one entire bag in a single sitting. 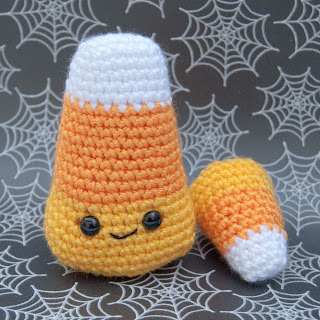 Needless to say, I want nothing to do with candy corns after that until the next year, when -- without any shadow of a doubt -- I will repeat the process to the same end. I hope you enjoy these little sweeties... and while you're hooking them up, please try to think happy thoughts of self-control.... there's another bag of candy corns in the kitchen with my name on it! So, so cute! 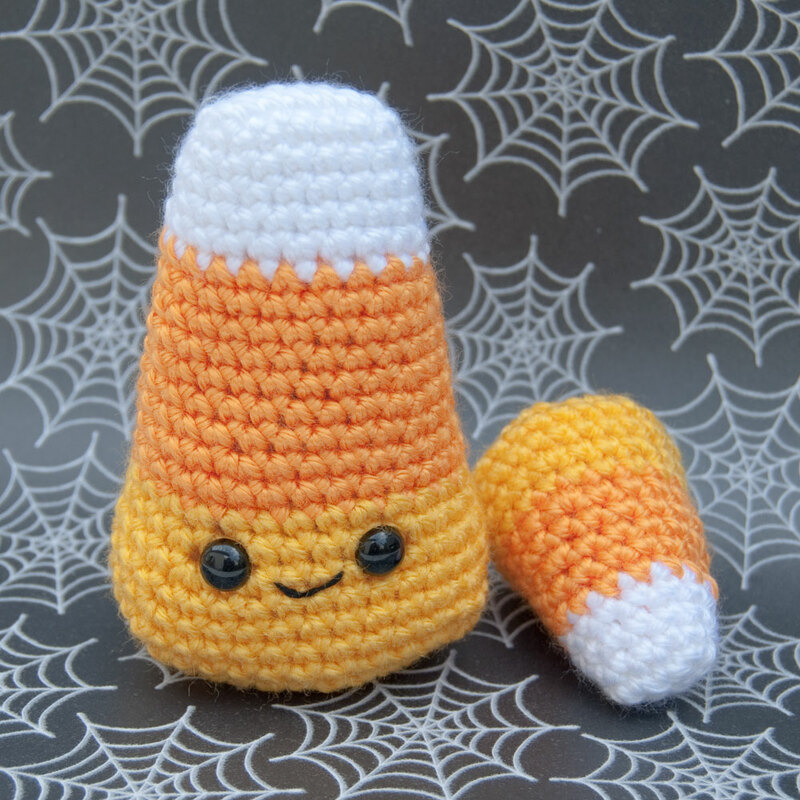 Thank you for the free pattern - I'm so making these for Halloween! I find your patterns so easy to follow, and they always turn out just darling!